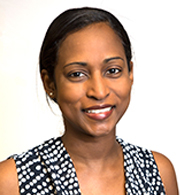 Dr. Sabena Ramsetty is a Board Certified Infectious Disease and Internal Medicine physician. She completed her medical training at New York University School of Medicine in 2004, went on to complete an Internal Medicine Residency at New York Presbyterian-Weill Cornell followed by Infectious Disease specialty training at the Medical University of South Carolina. She has experience working in various parts of the country since completing her training, but is now settled in the Northern New Jersey area. Dr. Ramsetty works mainly as an Infectious Disease specialist providing care for patients with a wide range of illnesses including HIV/AIDS, MRSA, and postoperative infections. Dr. Ramsetty is dedicated to quality patient care. In her leisure time she enjoys cycling, hiking and international travel.